Happy Monday! 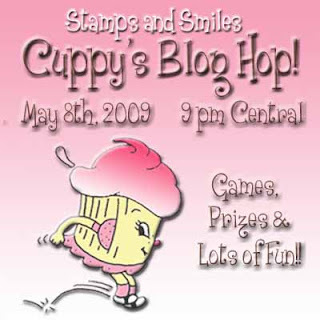 Stamps and Smiles is having their first Blog Hop and everyone is invited!! 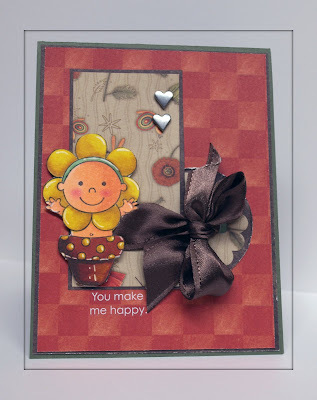 Want to get in on the fun early... add the Stamps and Smiles Blog Hop banner to your blog and your could win a $15 Stamps and Smiles Gift Certificate!! Click here for all of the fun details! Hello OCC friends!! 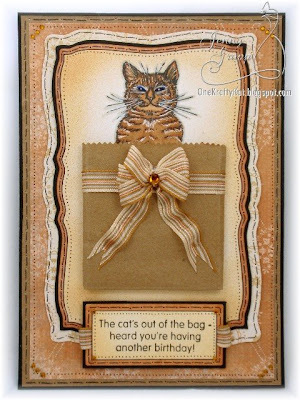 Thanks to all who played in last week's *recycling* Challenge, it was a so fun to see everyone's creations!!! 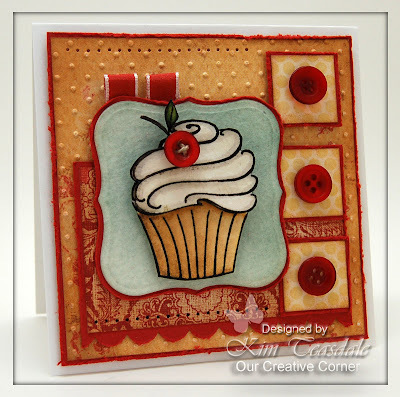 Before we start with the challenge, we would like to announce the winner for the Innovation Stamp Creations giveaway. Congratulations Julie from The Write Stuff. Please email us your address so we can get your goodies out to you. 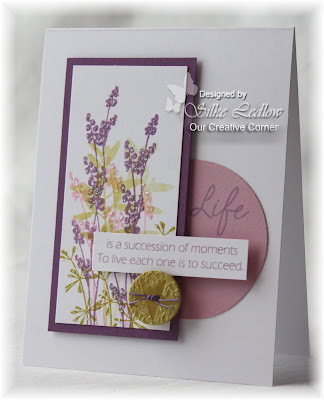 This week, Silke is challenging us to use *our own* favorite Color Comb on a card or project - how easy is that??? 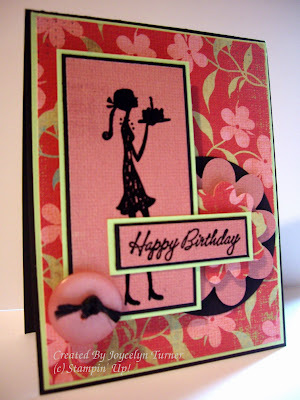 We can't wait to see all of the fun color combinations!!! 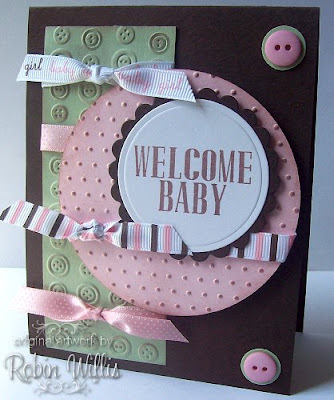 Our Creative Corner would like to welcome our guest designer Julia Betemps from Little Paper Shop. 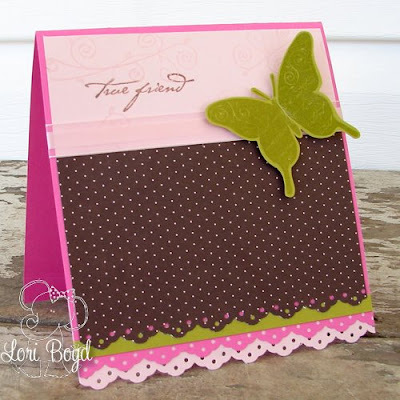 Julia is generously giving two stamp set's Butterflies and Beautiful Things away for this weeks prize. 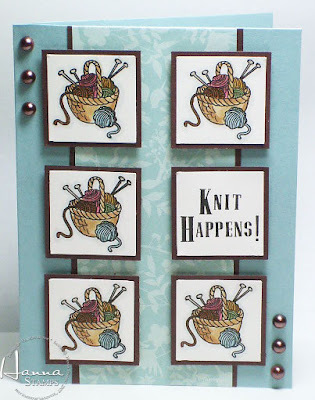 To play along, just post your card or project to your blog or gallery, then include a link in the Mr. Linky form at the bottom of this post so we can all easily find each other. If you upload to SCS, remember to use keyword: OCCC. 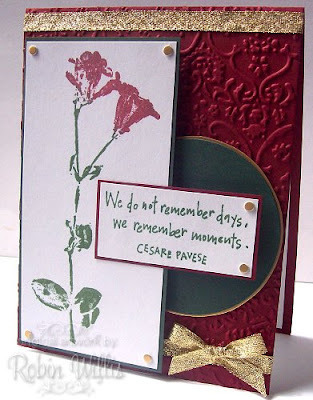 To qualify for the prize drawing, have your card or project linked here by noon EST on Friday, May 1st. Welcome OCC Friends!! 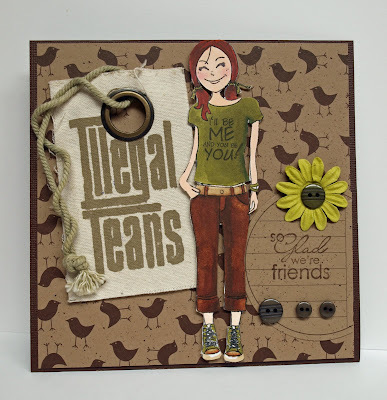 Your samples to our Sketch last week was awesome, thank you all for playing along!! Before we get started today, we would like to announce the winner of last week’s giveaway. 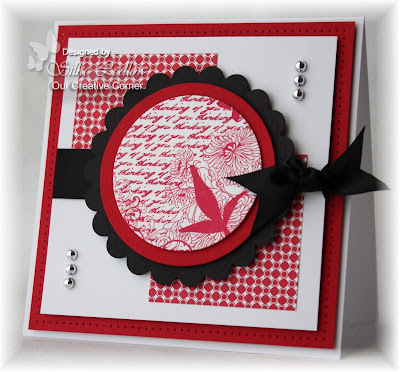 The Tweeterpated stamp set goes to Stephanie Castro. Congratulations Stephanie please e-mail us to claim your prize!!! 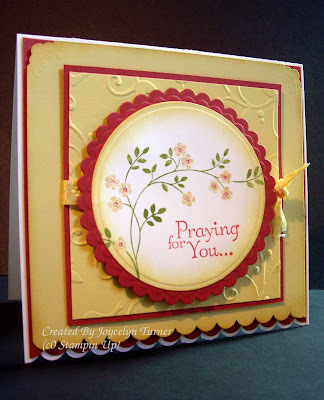 This week our April hostess, Silke Ledlow, has put together a fun challenge. 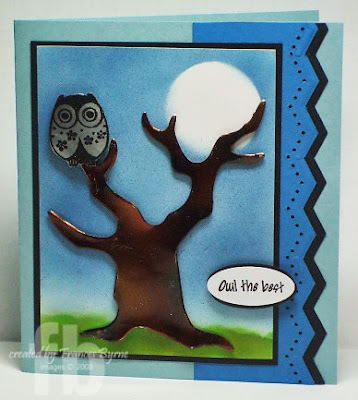 With Earth Day approaching April 22nd, please create a card/project using recycled items. 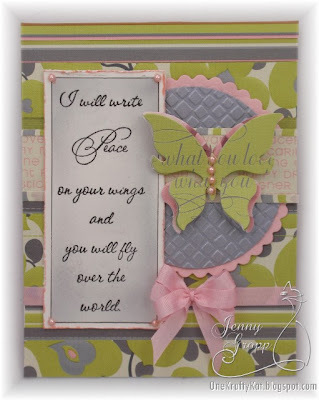 Our Creative Corner would like to welcome our guest designer Betsy Griffin from Innovative Stamp Creations. 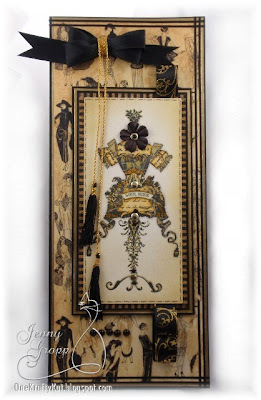 Betsy generously is giving away one of her newly released set's Nature Silhouette II for this weeks prize. 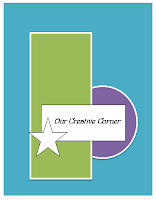 To play along, just post your *recycled* project to your blog or gallery, then include a link in the Mr. Linky form at the bottom of this post so we can all easily find each other. If you upload to SCS, remember to use keyword: OCCC. To qualify for the prize drawing, have your card or project linked here by noon EST on Friday, April 24th. Welcome OCC friends!! 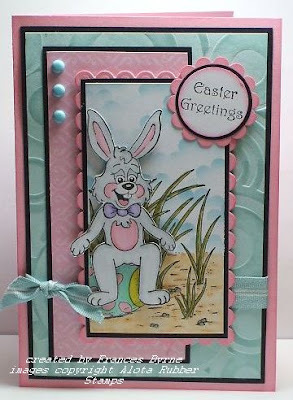 We would like to thank all that played in our Easter theme challenge!! Your samples were wonderful and inspired all of us!! Before we get to this weeks challenge, we would like to announce the winner for last week’s giveaway from 2RedBananas. Congratulations to Karen Valentine from Valentine Studio. 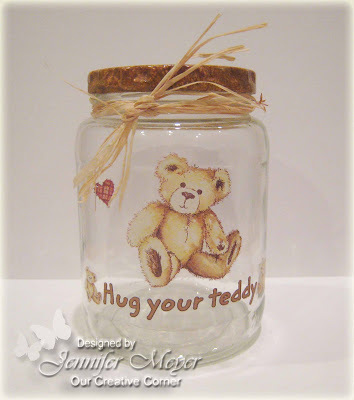 Please email us your address Karen so we can get your goodies to you. 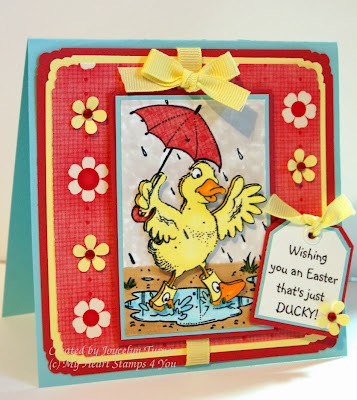 This week our April hostess, Silke Ledlow, has put together a sketch for you to try. 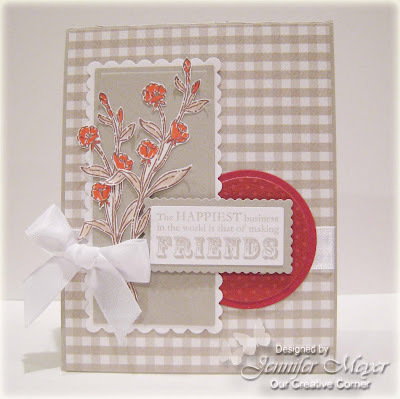 Our Creative Corner would like to welcome our guest designer, Jessica Knutsen from There She Goes. 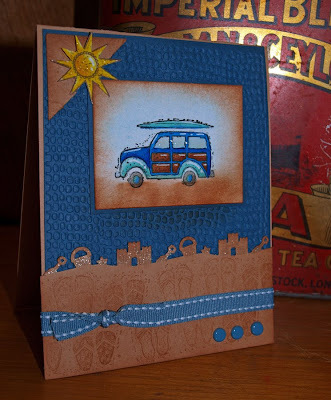 Jessica is generously giving away one of her newly released stamp sets Tweeterpated for this week's prize. 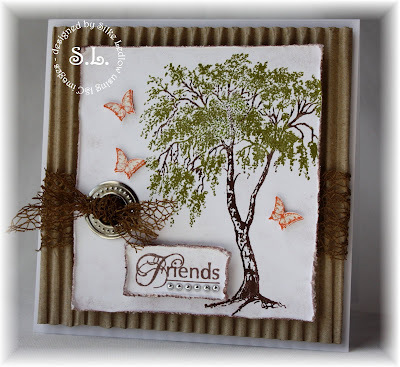 In order to win this stamp set, please have your card uploaded to Mr. Linky by 12 pm central time on Friday, April 17th. If you upload to Splitcoast, please include OCCC in the keywords. The winner will be announced next Saturday, April 18th. Hello, and welcome to Our Creative Corner! 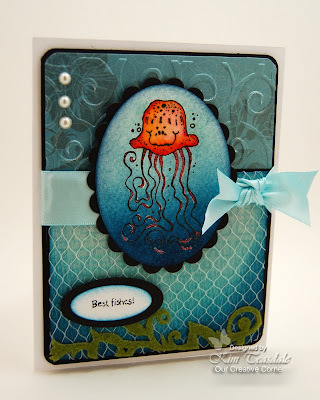 We want to thank everyone who played in last weeks Color Challenge! 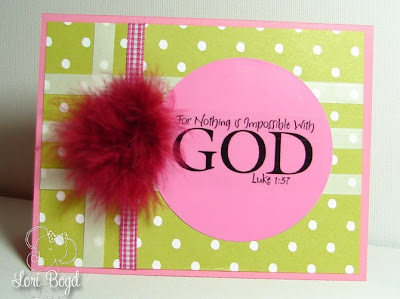 Everyone did a fabulous job with the color combination!! . A big thanks to our March host, Kim Teasdale! Today, we introduce our April host, Silke Ledlow. 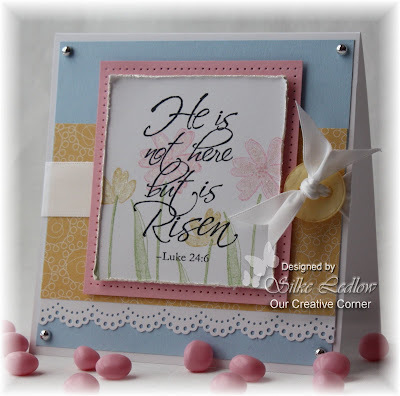 Silke has challenged us to create an Easter theme card/project. How fun is that?! 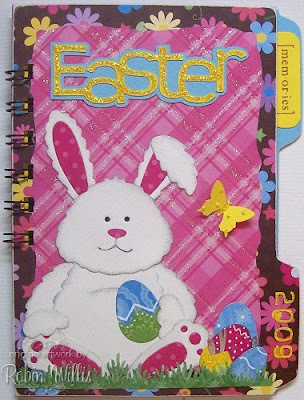 With the Easter holidays approaching, here is a fun opportunity to create that last minute card or project!! 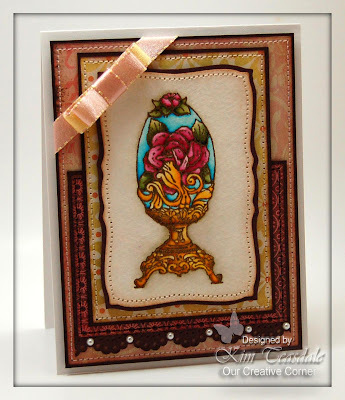 Before we start with the samples, we would also like to introduce our special Guest Designer this week, Jeanette Fincher!! 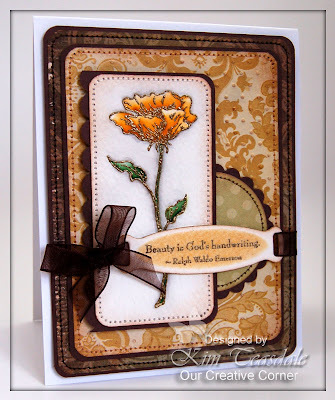 Jeanette is the owner of 2RedBananas and she is generously donating this beautiful Stamp Set!! In order to win this set, please have your card/project uploaded to Mr. Linky by 12 pm central time on Friday, April 10th. If you upload to Splitcoast, please include OCCC in the keywords. The winner will be announced next Saturday, April 11th. 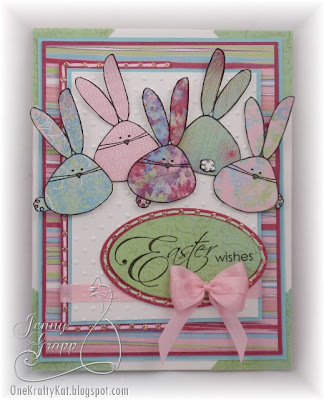 Here is Jeanette’s beautiful sample using her favorite Easter set, doesn't her card look beautiful? !